With Vancouver being so close to the border, there are many tasty reasons to cross it. Seattle is the closest major food destination but Portland is not much further, especially if you take the I-5. Then you’re practically to California so why not just push on a bit further, especially if there are multiple drivers in the car. Just make sure to bring a cooler, a large trunk, and a hearty appetite. Mad Wine is located near Salumi and has a large selection of wine. Lots of variety available on the website but often they have to be pre-ordered in for pickup. The store is large, clean, manned by friendly intelligent staff, and temptingly stocked with wine that you can’t get in Canada. 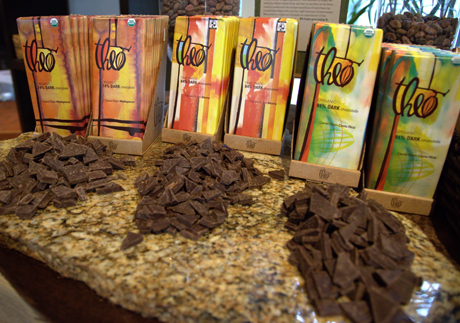 Theo Chocolate is an artisanal chocolate maker whose products aren’t available in Vancouver but they were featured in a November 2009 event, A Night with Theo, organized by our own Eagranie Yuh. They have really good caramels and chocolate bars. Scheduled factory tours are available throughout the day. 99 Bottles is located in Federal Way off the I-5 and they have a huuuuuge selection of beers. Their selection changes to fit the season: creme brûlée lager for Christmas, and pumpkin ales for Halloween. They also carried Hot Lips soda which is made with local fruit and high quality ingredients from the Pacific Northwest. The strawberry version tastes like jam. The Meadow is a small quirky shop that carries a large selection of salt and artisan chocolate bars. 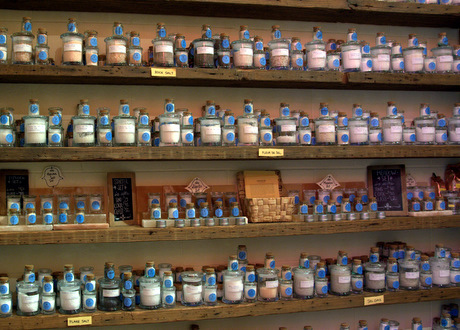 They also carry wine, vermouth, bitters, and flowers, but my favourites are the two shelves of salts and a huge stack of Himalayan pink salt bricks in all sorts of shapes and sizes. The even have the Japanese deep sea the French Laundry sometimes serves with their foie gras. 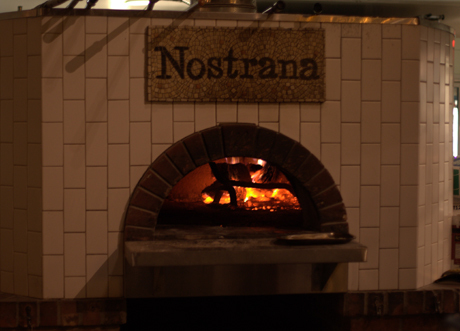 Nostrana is a modern farm to table Italian restaurant owned by chef Cathy Whims. They have a large wood fired oven and make fantastic pizzas. Their handmade pasta dishes are also very good. The menu changes every day, and everything was very fresh and cooked honestly. The pasta dish that I had was filled with ricotta made by the owner of a cookware store in Eugene (Cooks Pots & Tabletops). Say hi to the owner, Keith, while you do some tax free shopping at this very well stocked kitchen store. Navarro Vineyards is located in Philo, which is along one of the possible routes from Highway 1 to Yountville. Judging from the number of people at Navarro, the size of their shop and the average population of the towns in that area, they seem to be the most well known winery in that region. The grounds are very nice, the view is beautiful and they have a lot of picnic tables. Tastings are free. Most of their wines are white, with some rose, red and dessert wines, but the highlight is the Gewurtz and Pinot Noir grape juices. An In N Out meal is always a must have when visiting California or Nevada. An animal cheeseburger and well done fries is my favourite meal. Their website has a location guide that’s very useful for road trips. Make an appointment and don’t be shy about asking for recommendations. (I was helped by Scott, who was really helpful, spending about half an hour with us and suggesting wineries to visit). They have wines in all prices ranges, not just the high end or niche market. Sinsky, Alpha Omega, Cuvaison, Schramsberg, Spottswoode, Silverado, Robert Mondavi, Redmon, Pride Mountain, Trespass, Cornerstone, Stags Leap, and so many more! Make sure you make appointments and pre-book tours. The Schramsberg tour is supposed to be very good. 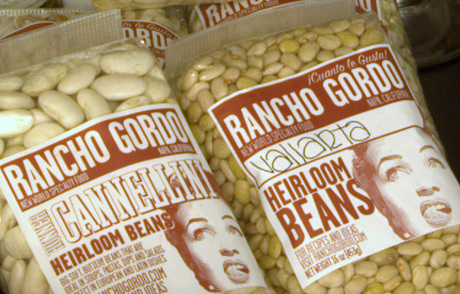 Rancho Gordo is a small passionate store that specializes in heirloom beans. They also sell at the Ferry Building farmer’s market but only on Saturdays. They were written up in the NYTimes and Thomas Keller gets his beans from them. There is a type of bean called Vallarta that’s known as the Keller bean. Ad Hoc is Thomas Keller’s newest and most casual restaurant, and the inspiration behind the recently released cookbook. Their fried chicken is famous but it’s only served every other Monday so plan accordingly. Make a reservation well in advance (it will be completely packed). There is only a $49 fixed price menu available, and everyone gets the same meal. Other than the fried chicken, and the bbq which they are experimenting with for the alternate Mondays, the menu changes every day. The food is really good, and the service is stellar. 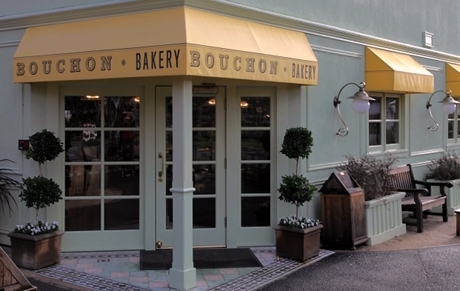 The patisserie of the Thomas Keller family of restaurants. You won’t forget their forget-about-its, a puck-sized confection of salted caramel, chocolate, rice and krispies. I usually buy enough goodies for breakfast, second breakfast, elevensies, lunch, teatime, supper, dinner, and in between meal snacks. 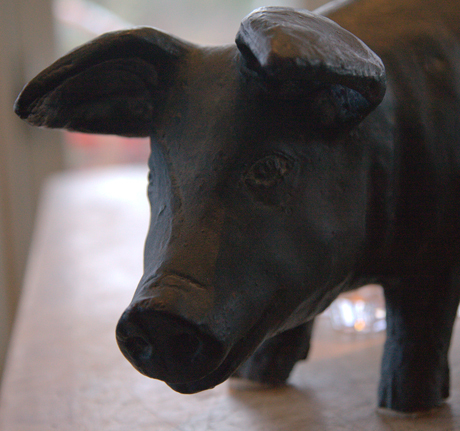 Chez Panisse is located in an older heritage house with a cafe upstairs that is open for lunch and dinner. The downstairs is the more formal dining room, and only open for dinner. 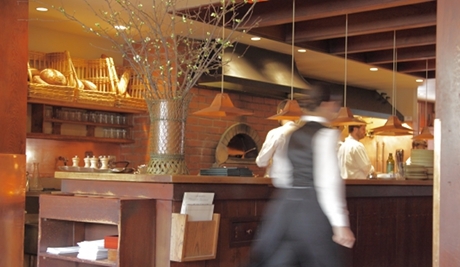 Their three course $24 prix fixed daily lunch special is a fantastic value. I couldn’t believe the quality of food for that price, and the portions are generous. Their pizzettes are surprisingly large and the menu changes daily. Even at lunch, there is sourdough bread for the table (from Acme Bread Company). While their wine list looks great, for lunch you might want to consider their non alcoholic beverages. They even have purveyor information, like the 2007 Gewurztraminer grape juice from Navarro Vineyards (delicious), and the ever full mug of Blue Bottle coffee is hard to stop drinking. If you love wine you’ll go a little crazy at the Wine Club. Don’t let its industrial location scare you off. Its bleak warehouse ambiance will quickly fade away when you see the selection and prices. Their knowledgeable and passionate staff will chew your ears off with suggestions, so be prepared to walk out with several bottles (or cases if your will power is like mine) of very good wine. 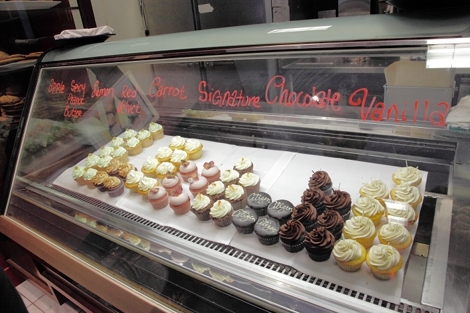 Citizen Cake is famous for their cupcakes which are made fresh with good quality ingredients. A bit on the sweet side if you are used to black coffee and dark chocolate, but worth a stop for any cupcake fan. An artisan chocolate maker, Christopher Elbow’s filled chocolates are absolutely gorgeous, and not as expensive as Rechiutti’s but very close in quality. They also have a large selection of chocolate bars. 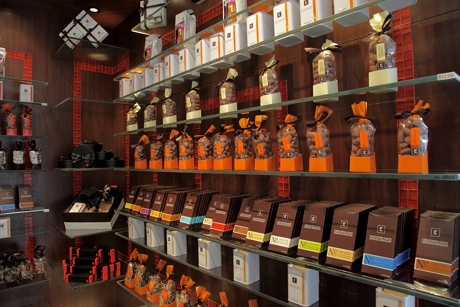 The shop, chocolates and packaging are all very modern and minimalist in style. Bi-Rite Creamery is a tiny neighborhood ice cream shop that rotates through a long list of classic and modern flavours, with about a dozen or so being available at any given time. Even on a cold windy day in January, they had a constant line up going. (I can only imagine how popular they would be in the summertime.) They’re very efficient though and the line moves quickly. The most striking thing about this place, other than the colourful personalities behind the counter, are the wonderful smells. When you walk in there is a very strong hit something really comforting that takes you back to your childhood. The Tartine cookbook is one of my favorites, and they were recommended by Jules, so expectations were high but they didn’t disappoint. Some of the best tasting croissants money can buy, and everything is huge. The morning bun, kind of like a cinnamon bun that’s tossed in sugar and without icing, is a must try. The Ferry Building may be a well known and cliched tourist stop but I go there every time just the same. There is Blue Bottle Coffee (served at Chez Panisse), Rechiutti Confections (very high quality artisan chocolates), Boccalone (for charcuterie, deli sandwiches, and their famous nduja; owned by chef Chris Cosentino), McEvoy (olive oil), Scharffen Berger (they were a small artisan chocolate bar maker but got bought by Hershey’s a few years ago and it hasn’t quite been the same since, especially now that their Berkeley factory has been shut down), Acme Bread Company, Miette Confiserie and Cowgirl Creamery. Everything you need if you’re looking for picnic or to-go fixings. (I took a cruise several years ago where San Francisco was a port stop near the end of the trip and the Ferry Building was a lifesaver. Bought a sourdough from Acme and had the first taste of decent bread in days.) They also have a farmer’s market on Tuesdays and Saturdays but I think the Saturday one is bigger. Harrison: Dining /Eat San Francisco in Two Days /Liberty Needs Your Help! 22. Serbian pita at Ziba’s Pitas, 9th & Alder, Portland. This is why Vancouver’s upcoming experiment with lunch carts is do exciting. Thanks for this awesome report Brenda! I may want to re-enact your eating tour one day. 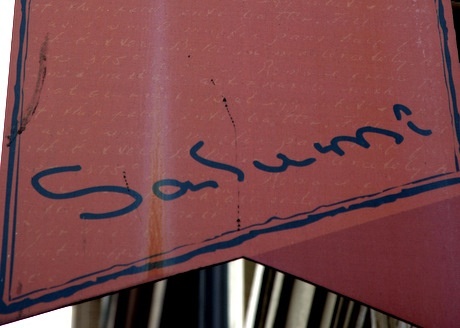 :-) We’re doing a Seattle trip this summer and wanted to know if you (or anyone else reading this) has any recommends on what to pre-order at Salumi. Mark already suggested the meatball sandwich. What else should we take advantage of during our trip down? I’d recommend to anyone driving from Vancouver to San Francisco to head up through the Russian River Valley area in N. California. There are countless, excellent wineries that are not as crowded as their Napa counterparts. Also, it’s beer heaven – there are dozens of world-class microbreweries to be found including Anderson Valley, Mendocino, Russian River, etc. wow, this sounds amazing. I’d want to go by motorcycle but then how do you bring everything back? conundrums. Ah! God, I am salivating. Tartine and BiRite Creamery! And San Francisco’s Mission District Mexican food. And peanut butter pearls. I love the Ferry Building. 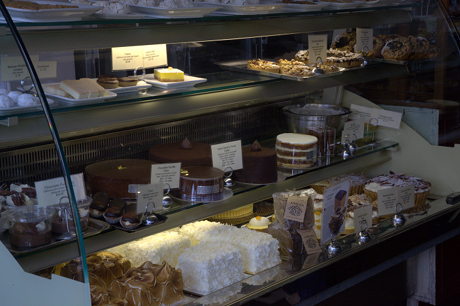 I really need to do a Portland eating tour very soon… mmmm! Hi Nancy, I would definitely try the porchetta sandwich if they have it available. The salumi sampler plate is also a good way to try a lot of stuff if you’re thinking of buying whole salami but don’t know which one to get. They don’t always have everything available, and the lineup can get crazy and loud, so it’s better to know what you want before talking to the counter people. At lunchtime, they really want to get as many people through as possible and aren’t patient about answering a lot questions.